Short cut Europe 2011 - Culture (not) for all? As a reference about social and artistci project, ARTfactories/Autre(s)pARTs is regularly invited to take part in the debate about the place of art in our society during meetings and seminars. TEH Camp Meeting 86 - 27>30 september 2018 Le plus petit cirque du monde, Bagneux - France Artfactories/autresparts, associate member of TEH, will be present, in particular through the organization/animation of a workshop around the practices of occupation of spaces which are part of a common work. In October 2014 IETM Plenary Meeting will gather performing artists and professionals from all around the world to address the vital issues of today and shape the strategies of tomorrow. New sustainable models in the cultural sector, measuring the impact of artistic practices, reinforcement of connections with the audiences, mobility of artists – these and other topics will be at the heart of the discussions. The meeting will also offer a unique opportunity to get to know the Bulgarian contemporary arts scene. 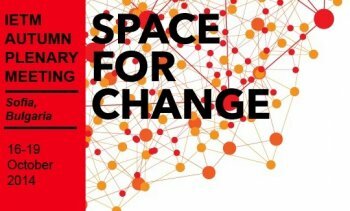 The location of the meeting in Sofia - a place, where the transition is a constant process, will encourage participants to create a space for exploring new possibilities and reflect on change as a way of strengthening and advancement. Invited by the French Institute of Bulgaria, Artfactories/Autre(s)pARTs will take part in the workshop Your own space: Seize it. Run it. Sustain it during the IETM Autumn Plenary Meeting Space for Change. Pierre Gonzales, artist of the ABI/ABO collective and permanent resident of the Friche Lamartine in Lyon (France), and Bahija Kibou, Coordinator of Artfactories/Autre(s)pARTs, will be there to share their experiences.